If you have crooked teeth you may be wondering if there’s a way that these teeth can be sorted out and straightened, and what field of dentistry handles it. Good news! 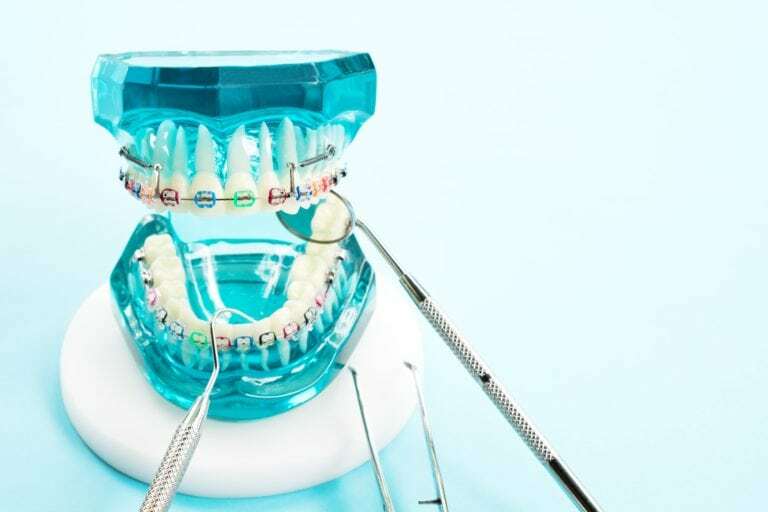 The field of orthodontics, a branch of dentistry, is specifically focused on helping to straighten out crooked teeth and correct teeth that may not fit together, including gaps. Through orthodontics, you’ll be able to get a healthier mouth that is more pleasing to look at, make eating easier, and more likely to last your entire life. What Conditions Can Orthodontics Treat? We know, you’re likely looking in the mirror right now wondering whether or not orthodontics can fix your dental concern. While we obviously can’t diagnose it through the power of the internet, we can offer a list of things that orthodontics can often repair or treat. • Buck Teeth – When your front teeth are improperly forward of your lower teeth. • Underbite – Essentially the opposite of buck teeth, and often considered less attractive. • Crossbite – This is a rarer condition where your top teeth don’t come down ahead of your lower teeth. • Open Bite – This results when there are open spaces between your teeth when your back teeth meet. • Misplaced Midline – A condition where the centerline of your upper and lower teeth don’t meet. • Spacing – Often called ‘gap tooth’ this occurs when your teeth don’t properly fill up your mouth. • Crowding – When you have more teeth than your mouth can handle. If any of these conditions sound like you, then Orthodontics can likely help resolve your imperfect smile and set things right! What’s Involved in Orthodontic Dentistry? Orthodontics uses a variety of techniques to help reshape your mouth and resolve your concern. Some of the tools used can take months to get the appropriate correction, like braces, while others can occur much faster. Additionally, there are a variety of fixed and removable appliances available depending on exactly what kind of correction is trying to be made. • Fixed Appliances – Braces, Fixed Space Maintainers, and special appliances for preventing thumb sucking, etc. • Removable Appliances – Jaw repositioning devices, lip and cheek bumpers, aligners, removable space maintainers, palatal expander, headgear, removable retainers, and headgear. This array of equipment can be used to address a broad range of dental concerns including all those mentioned above. All of these pieces of equipment have been in use for generations, with new innovations being made to make them more effective and able to address patients concerns. Ready To Begin Your Orthodontic Journey? If you think you may be suffering from any of the conditions above, or just want to get the opinion of a trained professional, pick up the phone and contact the Sunset Dental Group in Santa Ana, CA. Here you’ll be seen by the Kronquist family of dentists, Doctors Amanda Rae Kronquist and Jerry Kronquist, who will make a critical assessment of your dental health and begin formulating a plan to help correct your orthodontic concerns and restore a beautiful smile.